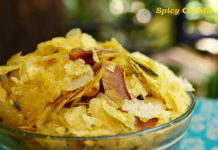 In the winter season one would like to have some tasty and oil free snacks in the evening along with hot cup of tea. The Spicy Puffed Rice is not filling and hence we tend to consume it for quite a bit of time. In the winter season, there is less burning of fat, so it’s better to have these types of snacks instead of going for fried items. 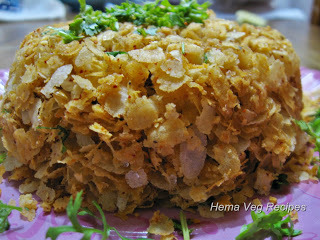 So I thought of preparing this easy to make Puffed Rice one evening. This recipe came from my mother, took hardly 10 minutes of my time in the kitchen. My family loves this Spiced Puffed Rice. In Kannada, it is known as Khara Mandakki or Kharada Kadlepuri. 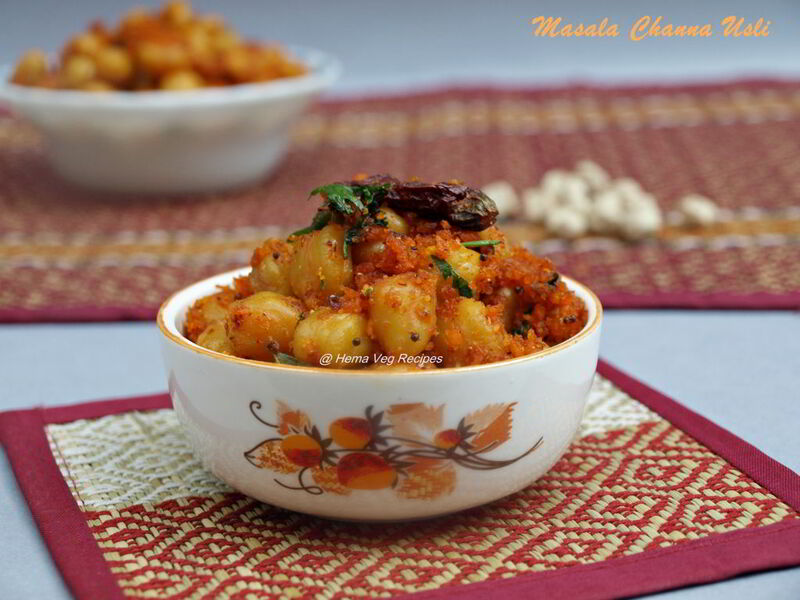 We use less Garlic at our home and hence I did not use the same for preparing this spicy mixture. But many love to mix Garlic with this preparation. One can add 3-4 pods of Garlic after frying the peanuts. 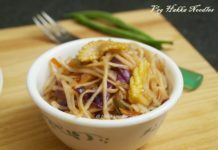 I have used Hing or Asafoetida instead of Garlic. The process is simple – preparing this involves adding simple seasonings, frying all the ingredients and mixing well with Puffed Rice. Let the whole thing stay on stove for 5 minutes to turn the Puffed Rice crispy in texture. Add the Powdered Sugar and Powdered Roasted Bengal Gram at the end, after adding the Puffed Rice. 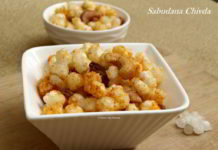 So try out the much liked Spiced Puffed Rice as evening snack. Heat Oil in a deep Kadai or pan; add Mustard Seeds. Once the seeds splutter, add Urad Dal or White Lentils. Once the lentils turn light golden in color, add Peanuts/Groundnuts. When the nuts turn slightly brown in color, add Curry Leaves and Roasted Bengal Gram Dal/Putani and fry for a minute. Now add Hing/Asafoetida, Turmeric Powder, Red Chilli Powder, Salt and fry for a minute. Ensure that the heat is low to medium flame until done, else the Puffed Rice can turn brown in color and may get burnt. Now add Puffed Rice/Mandakki/Kadlepuri and mix well with all the spices. Next add powdered Sugar and powdered Roasted Bengal Gram/Putani and mix well. Keep this mixture under heat for 5 minutes, then switch off the flame. This process turns the Puffed Rice crispy in texture. 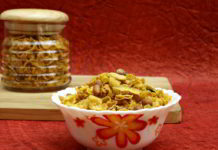 Once everything cools completely, transfer the Spicy Puffed Rice or Kara Pori to an air tight container. Try out and and enjoy this Spicy Puffed Rice or Kara Pori as evening snack. Always add the Powdered Sugar and Powdered Roasted Bengal Gram after adding the Puffed Rice. If these two ingredients are added directly to the Oil, they can turn hard and form balls. 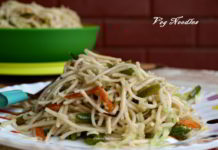 One can vary the quantity of Peanuts and Roasted Bengal Gram and also the spice level depending on ones preference/taste. Be careful about the amount of salt you add; Puffed Rice has small amount of Salt in it already. Many prefer to not use Mustard Seeds and Urad Dal in the seasoning as they settle at the bottom in the container and do not mix properly with the mixture. So you can omit these two ingredients if you wish.